Putting the block together.... caps, pistons, rings, bolts and more. 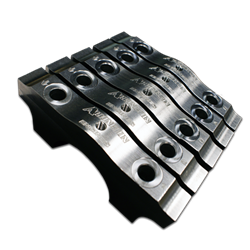 Choose wrist pin size and materials based on engine application. Pins must be selected to complement pistons and rod selections. 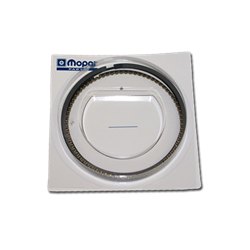 Stop blow by or change your sealing surface by changing your rings. 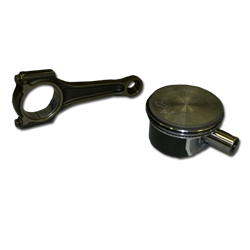 Multiple ring thicknesses and materials are available to meet the exacting standards for every HEMI engine build. 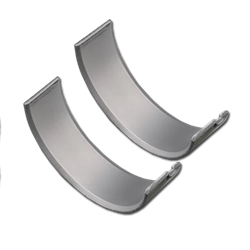 Bearings come in various thicknesses and coatings to match application and boost levels. High temperature coatings can reduce friction and provide lower operating temperatures. Select the proper bearings for your HEMI's intended use. 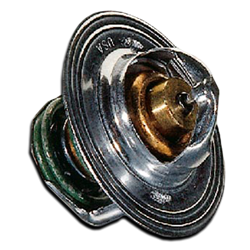 Standard or Billet main caps are used in Arrington's HEMI engines. Our standard naturally aspirated HEMIs use standard main caps but our high boost and high horsepower builds can be upgraded with billet main caps. High horsepower creates stresses and strains not meant for factory parts. 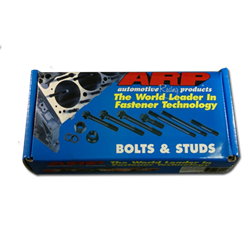 Replace your factory fasteners with high quality hardened Bolts and studs. 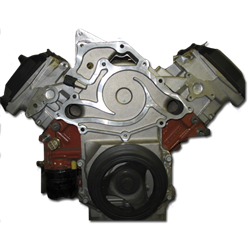 Protect your timing chain and components with a cover specifically designed for your HEMI.